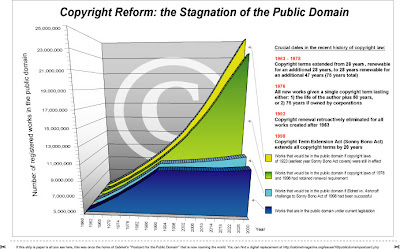 Nerd Arts » Blog Archive » What is Public Domain? If an item (”work”) is not in the public domain, this may be the result of a proprietary interest such as a copyright, patent, or other sui generis right. The extent to which members of the public may use or exploit the work is limited to the extent of the proprietary interests in the relevant legal jurisdiction. However, when the copyright, patent or other proprietary restrictions expire, the work enters the public domain and may be used by anyone for any purpose.